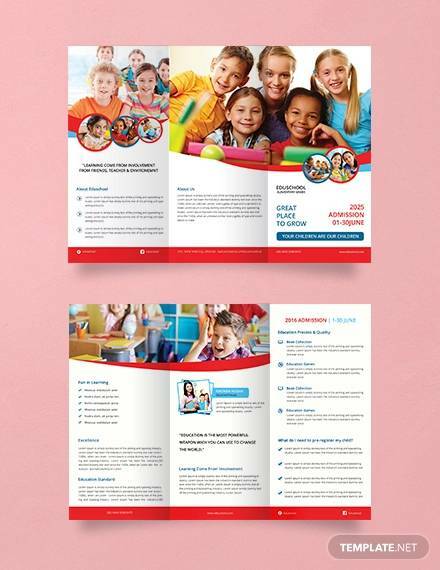 School Brochures, special camp school brochures, event flyer templates etc can be all found at our exclusive collection of Docx files. 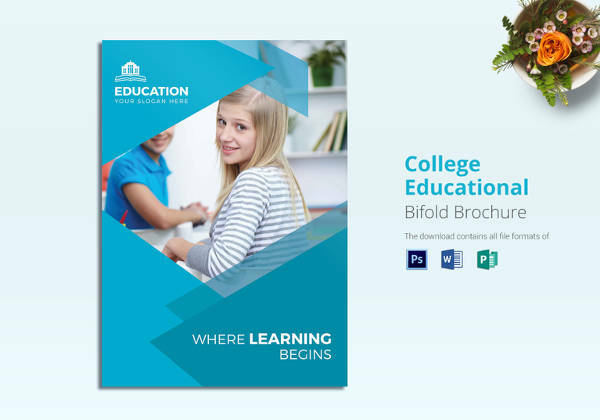 Download from a variety of multi-layout, multi-columned College Brochures Template well suited for all schools be it private, public or for special needs. 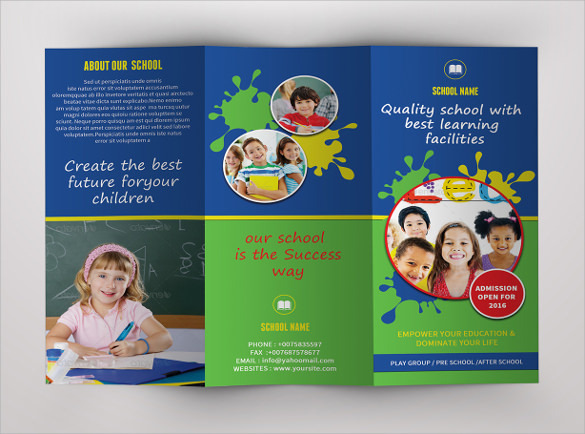 You can absolutely fall in love with these brochures for at least the following few reasons-They can be used as special notice brochures, events flyers, curriculum details, admission advert brochures etc.You can easily include JPEG and PNG images before going for a direct, full-bleed print.Choose from a plethora of colors and designs before finalizing on the one best suited for your institute. 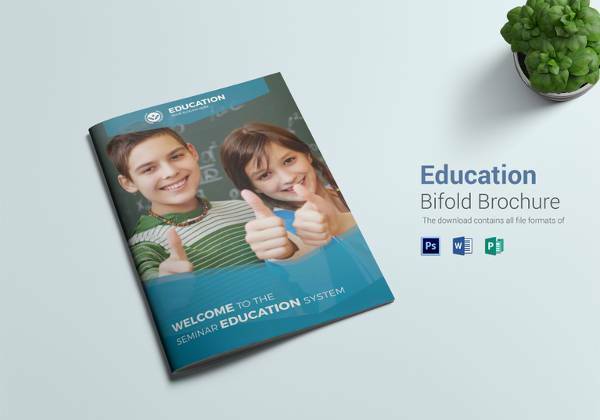 This is an A4 size bifold brochure template which is educational oriented. 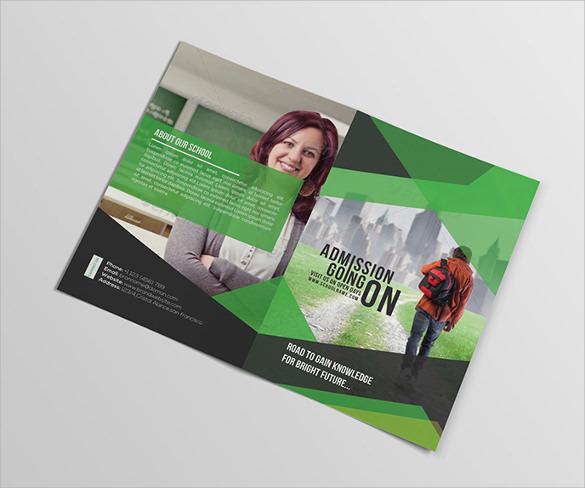 The template comes in PSD format and it ready to print. You can easily customize it. 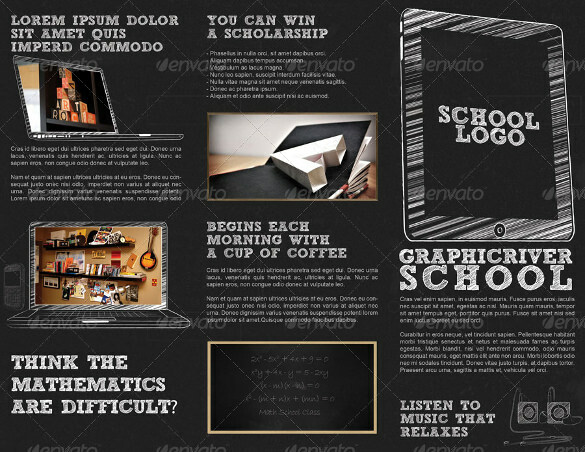 The template comes with its own images and free fonts. 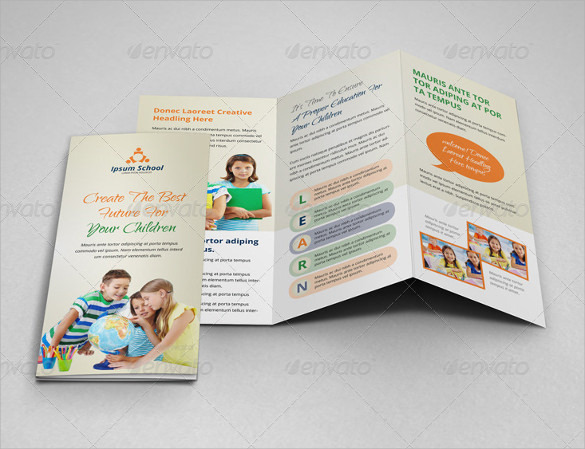 This is a well-designed A3 size template using attractive colors and images which are educational oriented. 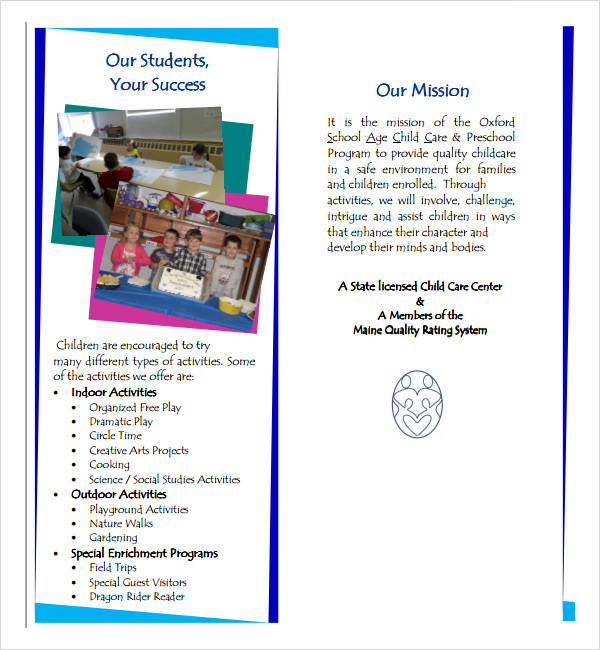 The template is ready for printing, and it’s designed as a threefold. Advertising or an awareness campaign can rarely be sufficient if there no a pamphlet circulating. 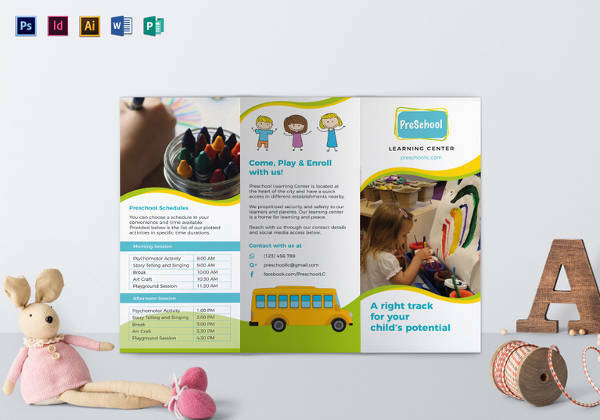 A brochure is a printed piece of paper which is created with an aim of informing a group of the public. 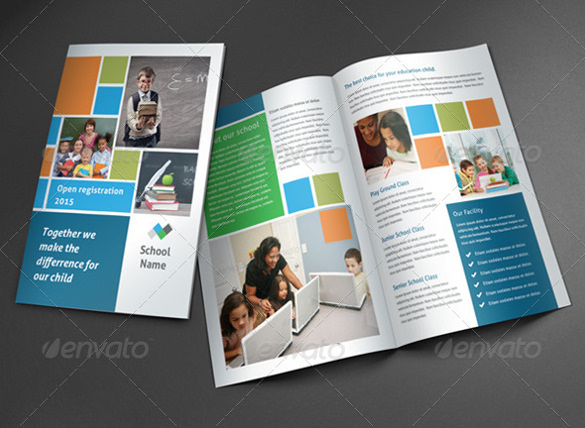 A school brochure template is a customizable softcopy brochure. 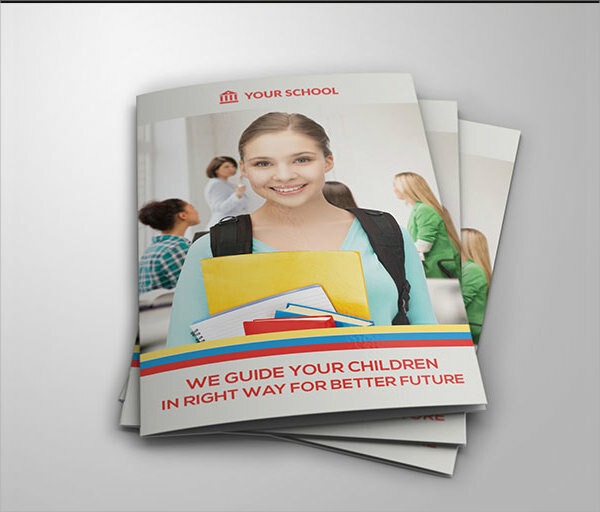 Using school brochure template can save you lots of time and resources. 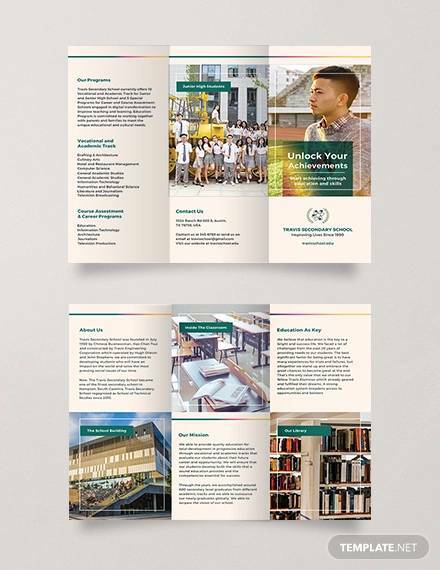 They are used to create an attractive brochure for school events and other information a school may wish to make the public aware of. 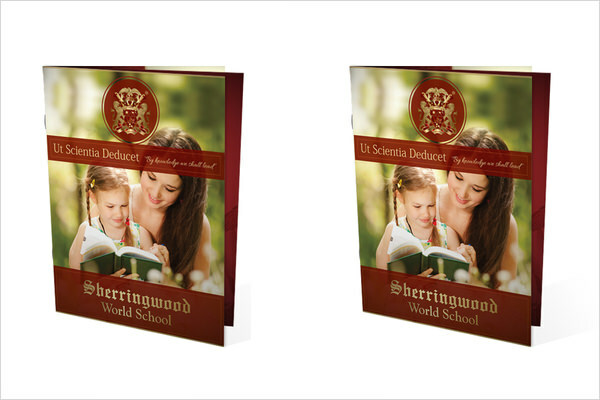 The Brochures are mostly used in school campaigns and fundraising among others. 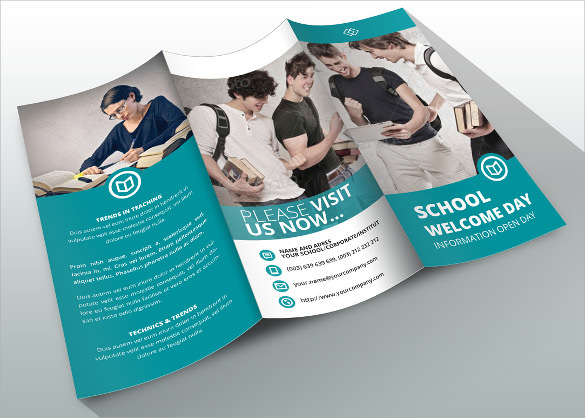 These templates come in different forms which include, Bi-fold, leaflet, and tri-fold. 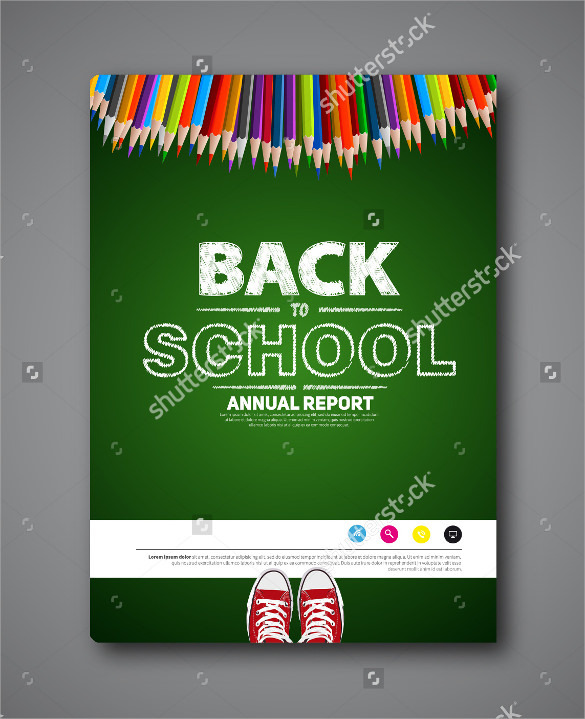 School Brochure template also can be downloaded in various formats which include PSD and vector format among others. 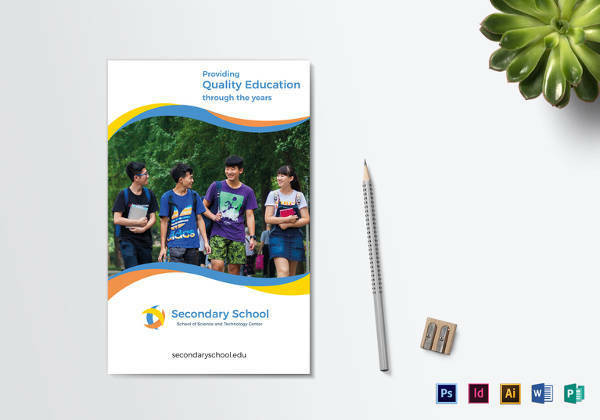 Best School brochure template is a template designed for people who are looking for attractive brochures to market their schools. 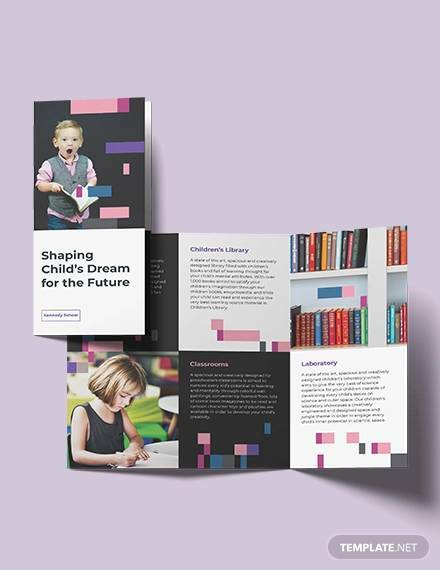 The templates are ready for printing and can be easily customized. 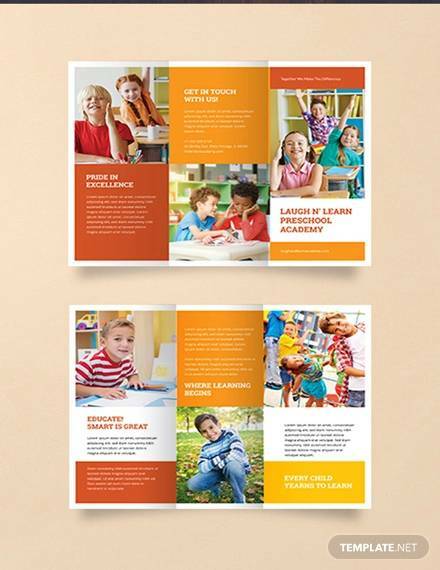 This is a tri-fold brochure designed with an educational theme and appealing color combination. 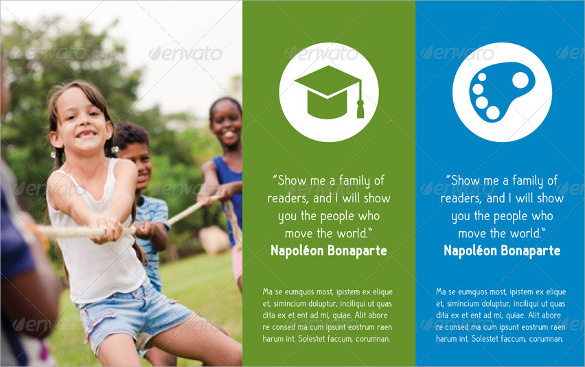 The templates come with images and free fonts. 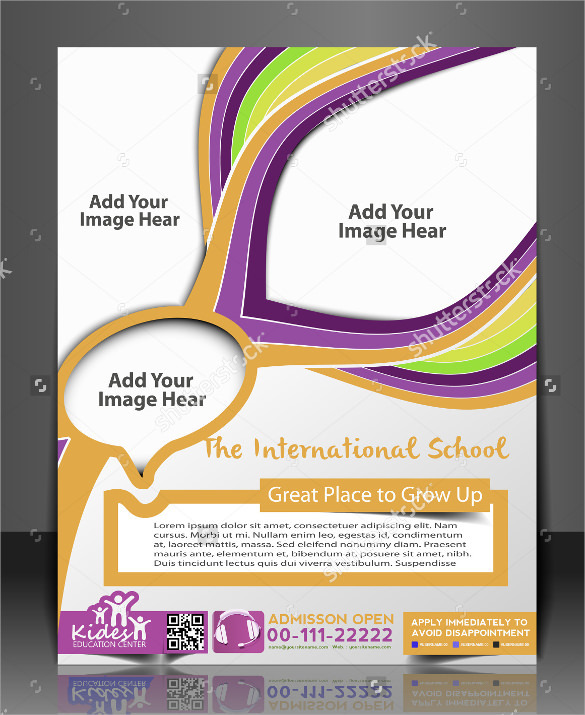 The template is ready for printing and comes in PSD or vector format. 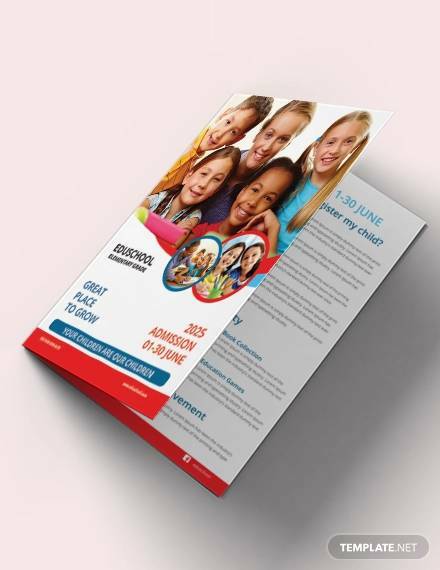 The sole purpose of brochure template is to save the one creating a model time and resources and have a beautifully designed brochure as the final product. 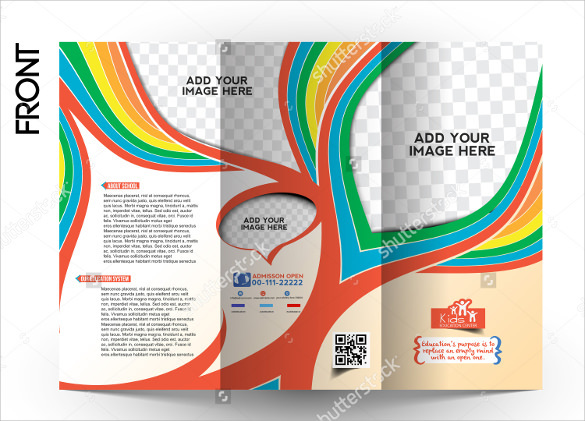 This is an outstanding template that can be downloaded and customized. 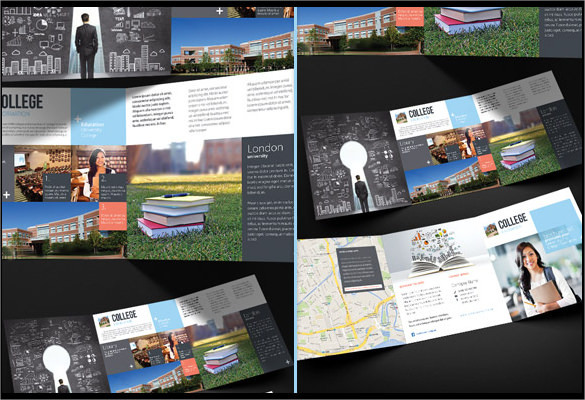 These templates are of high resolution, comes in portable formats and they come with images and amazing designs. 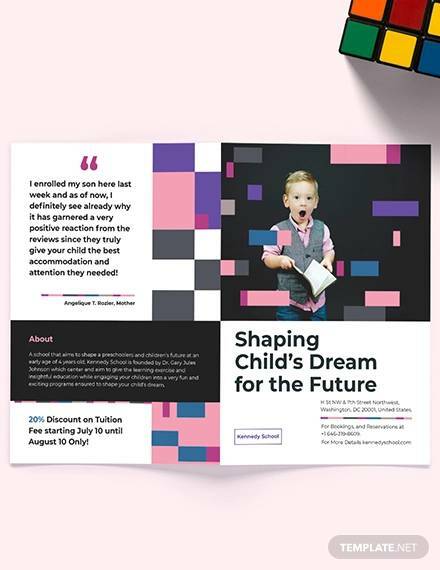 This is a multipurpose brochure template which can be downloaded and customized to suit users’ needs for a brochure. 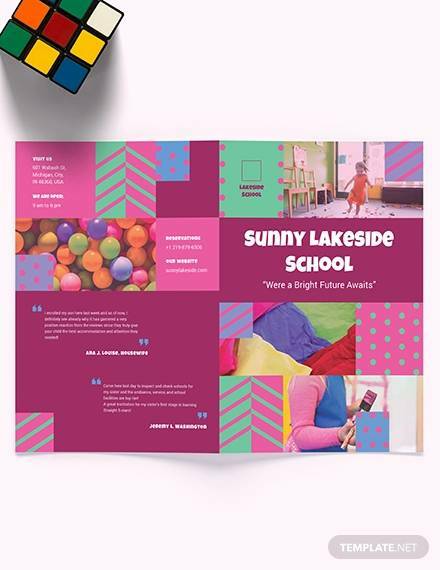 They come with outstanding designs and various document formats. 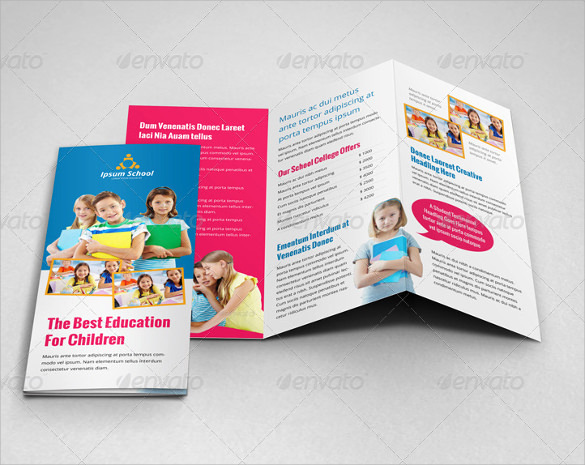 This is a tri-fold brochure template that can be downloaded in PSD document format. 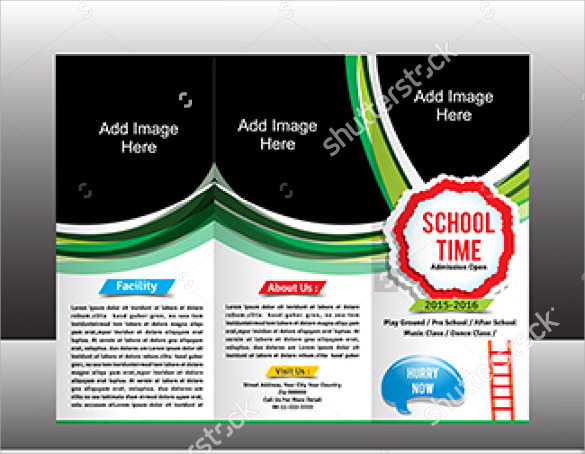 The template has replaceable text and images for easier customizations. 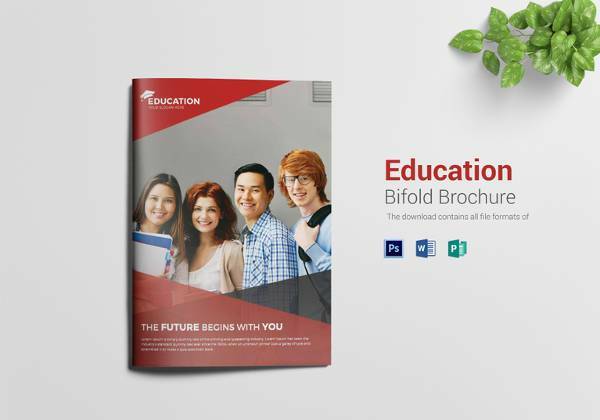 This is an educational institution oriented brochure template which can be used to publicize a school or a related field. 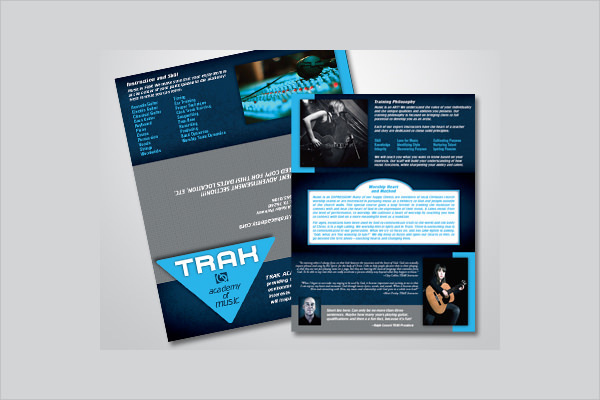 The template is a tri-fold, customizable and ready for printing.